To assess the state of the endpoint security suites market, Forrester evaluated the strengths and weaknesses of the top vendors. 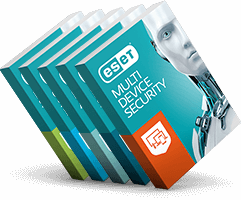 IDC has estimated ESET generates around 90 million USD from the IT security revenues recorded in the region in 2017 following 13.5 percent year-on-year growth. The annual report by Kuppinger Cole, examines the key vendors in the Enterprise Endpoint Security market, with a special focus given to Enterprise Anti-Malware Solutions. Get your complimentary copy of the Gartner report now and view ESET’s placement in the Magic Quadrant here.